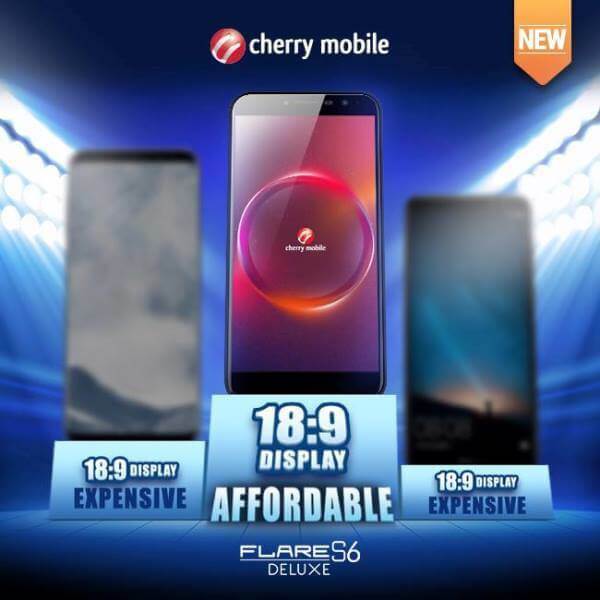 Cherry Mobile has silently launched its budget 18:9 smartphone – the Flare S6 Deluxe. The local mobile manufacturer is known for giving the latest smartphone-trend to consumers while making sure that the device is still affordable. On that note, the brand recently released the Flare S6 Deluxe, which packs some of the Flare S6 specs and some of its downgrades, too. However, what makes the Deluxe variant special is its 5.7-inch 18:9 HD+ IPS display with 1440 x 720 resolution. Inside, it is powered by MediaTek MT6737 quad-core processor, complemented with 2GB of RAM and 16GB of internal storage that is expandable up to 64GB. While it now has a bigger 3000mAh battery, its front camera has been downgraded to 8-megapixel. It sports 13-megapixel rear camera, though. The Flare S6 Deluxe is available in Navy Blue and Gold, and will be tagged at PhP5,999.